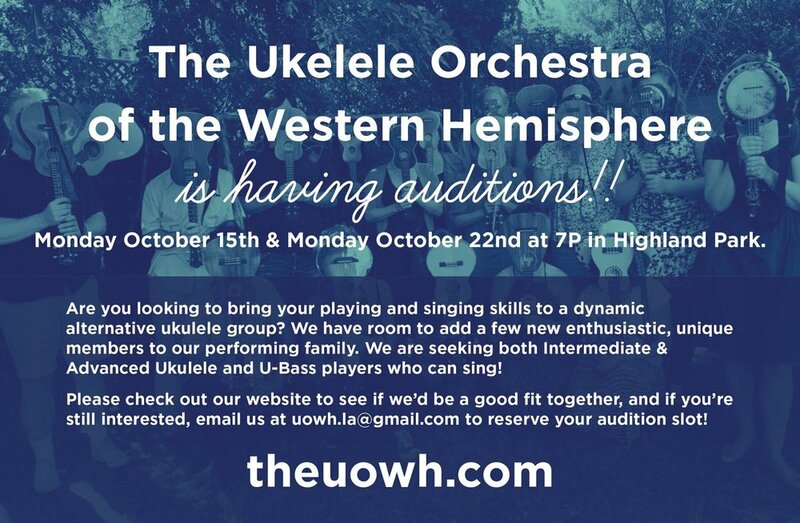 We are not your typical ukulele group… Please poke around the website to see if we’d be a good fit together, and if you’re still interested, email us at uowh.la@gmail.com to reserve your audition date! 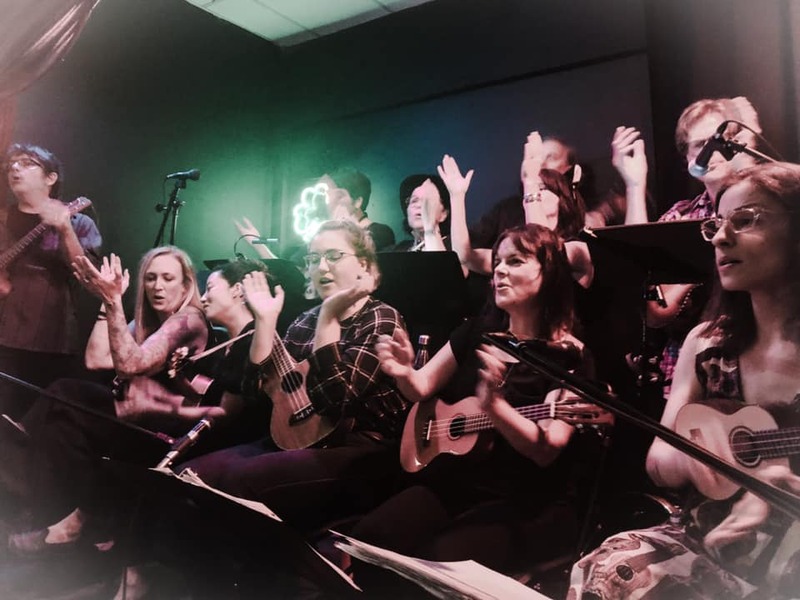 Come prepared to entertain us with a solo showing off your ukulele playing and singing. 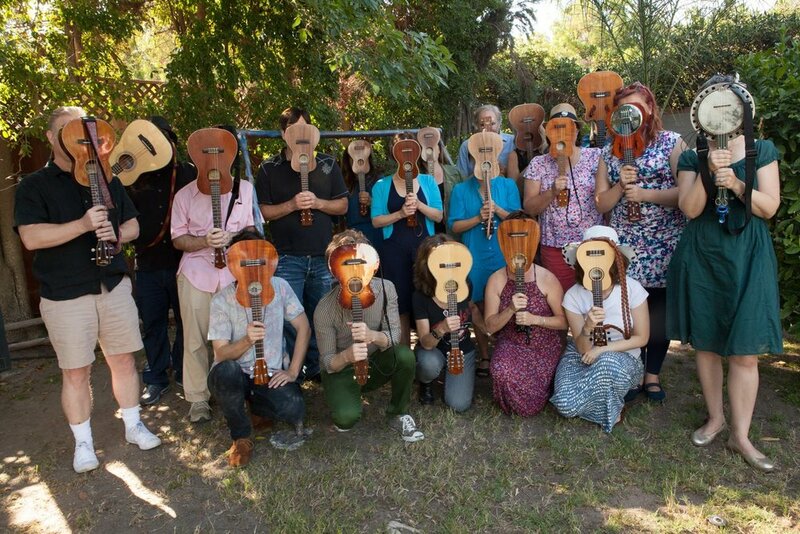 Prime time show at the Wren Theater, three short wonderful ukulele solo openers, then a wall of ukelele sound! extra bonus: a set by the amazing Brit Rodriguez, so it's sure to be an exceptionally fun evening! We'll be doing an un-amplified/maximum-acoustic/ukuleles unplugged set at the magical Elves' Fair. Word is we go on at 1:45pm, but fun stuff happening in every direction from 10am-4pm. Tickets are $18, which can be pre-reserved by calling (626) 798-6236 between 10 A.M. and 10 P.M. Pay cash or check at the door at the time of the show.